Home office serves different purpose for different people. For some it is a space where they sort and pay bills, go through mail or just store their important documents. It can be a library or a quiet place to relax and take a nap. It can be a place where children do their homework or play computer games. And if you work from home, then it can really be your nine to five office. If you have a spare room to decorate as your home office that’s great, but brilliant work-friendly spaces can emerge from a spare corner, a few inches of a wall, or other areas you never thought to explore. You can set a desk and chair in front of a window. 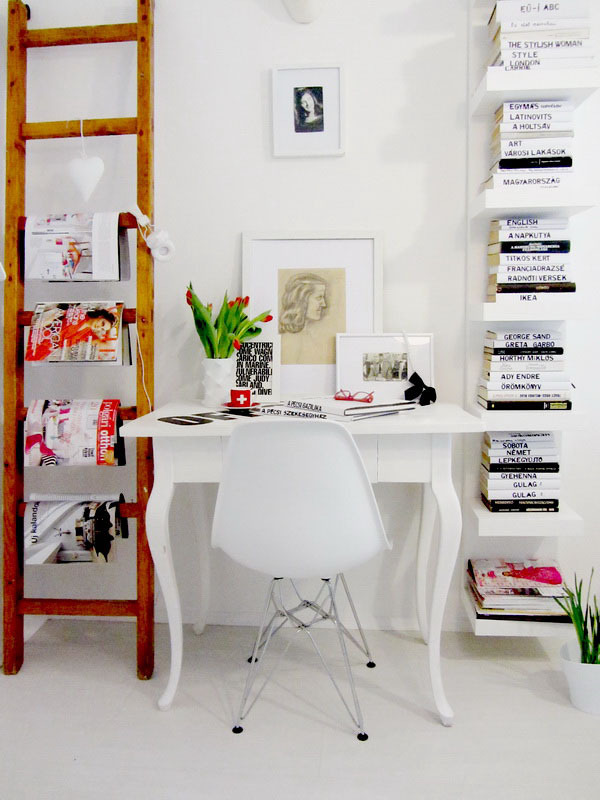 Few key pieces (desk, chair, and floating shelves) can transform a quiet sleeping space into an efficient work area. Even a formal living room can accommodate a work zone. Sneak in a table, chair, and a few office accessories so you have a spot to retreat to for working on an assignment, writing a letter, or reading the paper. Office organization is key, especially with all the bills, mail and statements you receive and keep throughout the year. The best way to store your papers is by investing in a nice filing cabinet. Built-in and floating shelves are useful to hold your books and other things that you need. The centerpiece of an office is surely a desk. When picking out your desk, be sure to consider its overall function. If you work from home, pick an oversized, sturdy desk that can contain all your work documents in one space. It should look professional and be double-sided so you can hold meetings. But desk can also be a refurbished rustic dinning table. You should also pick a comfortable chair. At last comes decorating. Globes, maps and clocks are standard office decorations, as are table lamps and wall art. To add a personalized touch, bring in framed family photographs and little travel souvenirs you’ve picked up along the way. Here is our collection of a modern home office designs to inspire you to decorate your work space. This entry was posted in Design, Home decor, Inspiration and tagged home decor, home decor inspiration, home decorating, home office, ideas, inpiration, interior decorating, interior design, office, style, work space. Thank you for sharing those awesome ideas. Hi! 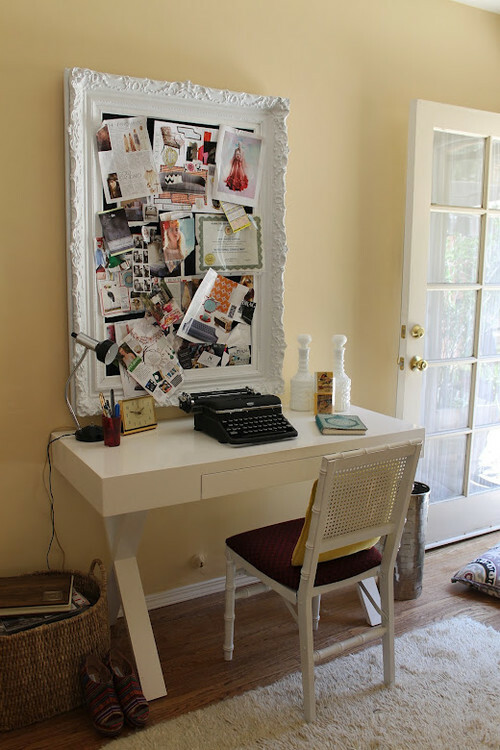 Where can this desk be purchased?